We’d love your help. Let us know what’s wrong with this preview of End of the Road by Wendy Dranfield. No longer available to purchase. 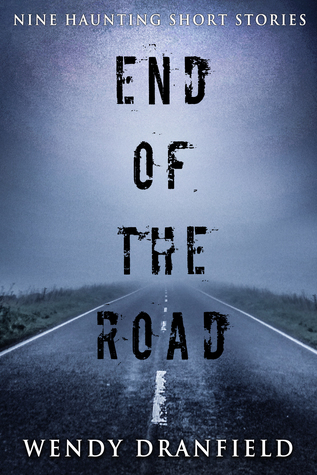 To ask other readers questions about End of the Road, please sign up. Wendy once worked as a Coroner's Assistant and is now a crime thriller writer who lives in the UK with her husband and 3 rescue cats. ‘Who Cares If They Die’ was her debut novel, published by Ruby Fiction in winter 2018. The second in the series is released in July 2019 and Wendy is currently working on books 3 and 4. They are set in the US and follow Dean Matheson and his mission to become a homi Wendy once worked as a Coroner's Assistant and is now a crime thriller writer who lives in the UK with her husband and 3 rescue cats. ‘Who Cares If They Die’ was her debut novel, published by Ruby Fiction in winter 2018. The second in the series is released in July 2019 and Wendy is currently working on books 3 and 4. They are set in the US and follow Dean Matheson and his mission to become a homicide detective. It should be noted the break-out star from book 1 is Rocky - the wannabe-police dog! Wendy is a member of the Crime Writers’ Association and the Society of Authors and is a little addicted to Twitter.